Lots of couples love to escape to Spain for a romantic getaway. With many different options for every type of couple, you can be sure to find the perfect location for a romantic weekend in Spain. From the beaches of the south to the countryside of the north, Spain offers something to everyone. This romantically-named Sevilla B&B is right in the heart of the city and great for a base if you come to Sevilla for Feria week or for seeing the sights and a trip along the Guadalquivir River. A peaceful retreat for a romantic holiday can be found right in the natural park of Málaga mountains. Take some time to be a couple again with gentle strolls through the woods and rediscover romance. The Hostal Contestable is a B&B in central Madrid and is an ideal base for a romantic weekend break in Spain. It is only a few minutes’ walk away from the Royal Palace and Puerta del Sol, where the Madrid football team comes to celebrate victories with the Madridleños. This family-run business has been in the same location in Barcelona since 1842 when the Grau family opened a café. Halfway between the main street of Avenida Diagonal and the quayside, this Barcelona B&B is a great spot for a romantic time in this vibrant Spanish city. 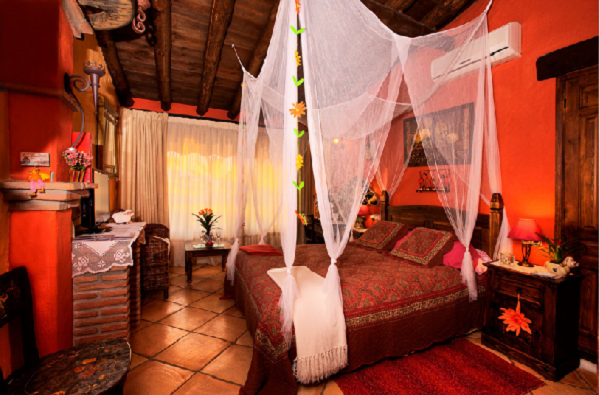 Half an hour or so from Málaga airport in the Andalucian countryside is the very romantic Posada Los Cantaros. Two of the rooms in this Málaga B&B have their own Jacuzzi baths and one suite comes complete with Jacuzzi bath, sauna, and Hamman hot tub. A small family-run hostal in Nerja, this Eastern Costa Del Sol B&B offers junior suites and grand suites with Jacuzzi baths to spoil yourself for a romantic break. The huge sun terrace overlooks the town of Nerja which is a ten minute walk away. Northwest of the Mezquita in Cordoba is the Jewish Quarter and Hospederia El Churrasco. There are different dining rooms to sample the beautifully cooked food and don’t forget to view the owner’s private collection of paintings. A typical Asturian stone-built house with many wooden beams, Las Helgueras is a family run, calm, and peaceful place for a romantic holiday in Spain. Enjoy a stay in this hostal right on the side of the river Gándara. Only 20 minutes from the coast but a world away in time. 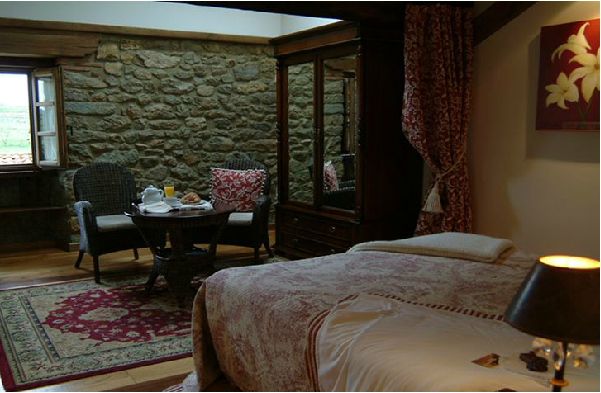 There is a spa zone with a Jacuzzi and a sauna for relaxation, plus a terrace overlooking the river for coffee or breakfast.